At this moment, there’s not a lot we know about the upcoming iPhone 6 from Apple, other than the fact that people are extremely curious to see what Apple can come up with, given that the competition has revealed this year’s top guns. The HTC One M8 is releasing world-wide next year, and the Samsung Galaxy S5 is already becoming available in select stores. So what’s Apple going to offer us with the iPhone 6? Will it be enough to keep up at a competitive level? Let’s start off with the design of the iPhone 6. As you probably know, the iPhone 6 is going to be getting a new number, 6 to be more precise. While there are new version of the iPhone 5 coming out, Apple has announced that it will be releasing an entirely new model. 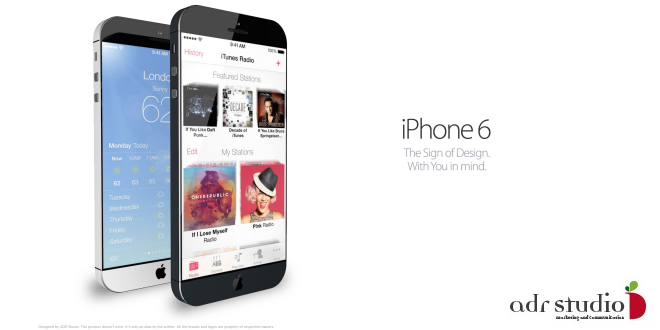 The iPhone 6 is going to feature a new design. 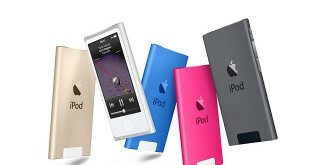 Speaking about the design, we are going to see something like the iPad Touch’s 5th generation. We expect to see a full aluminium finish, instead of just an aluminium band like in the case of the iPhone 5S. The brand new design will be thinner and lighter than the current generation iPhone 5S. We are also expecting to see a Sapphire Glass as well as a larger display. We are not entirely sure about the display size yet but the the rumors suggest it might be somewhere around 4.7 inch. That should satisfy most users, as it’s an intermediate size – big enough, but not excessively big. There have been reports that Apple is also working on releasing a larger iPhone 6, so there will be alternatives to the 4.7 inch model for those of you who prefer larger phones. A 5.2 inch or a 5.5 inch model are possibilities, and by introducing these, Apple wants the iPhone 6 to compete with the Samsung Galaxy Note line. Basically, in all iPhone models Apple uses IPS LED – backlit LCDs, In contrast, you probably know that Samsung or other manufacturers use a different technology, something like AMOLED, which is an OLED technology. LCD and OLED are very different technologies. For the iPhone 6 we don’t actually expect Apple switching to OLED, just because IPS LCD’s provide some of the best color accuracy on the market, where as on the other hand OLED displays provide better power management and more vibrant colors. With the iPhone 6, we’ll be most likely seeing another IPS LED – backlit LCD screen. All the iPhone models from the iPhone 4 and up, as well as all of the iPad Touch models have the exact same PPI ( pixel density ) of 326 PPI. So although with the iPhone 5 Apple has increased both the screen size and the resolution, the PPI or the concentration of the pixels remained the same. We have 3 possible resolutions for the iPhone 6. With the second option, we’ll have a 1080 p display. So a 1080p, 4.7 inch display will probably translate to 469 PPI, which is basically the around same as a HTC One. Although this is more plausible than the first option, however Apple said that everything higher than the 300 ppi threshold is basically invisible to the naked eye, so it’s unlikely Apple will be bumping the ppi that high. A much likely possibility is something like a 1600×900 resolution, which will translate to 386 ppi. This is the best bet at this time, and it’s the most likely option for the iPhone 6. 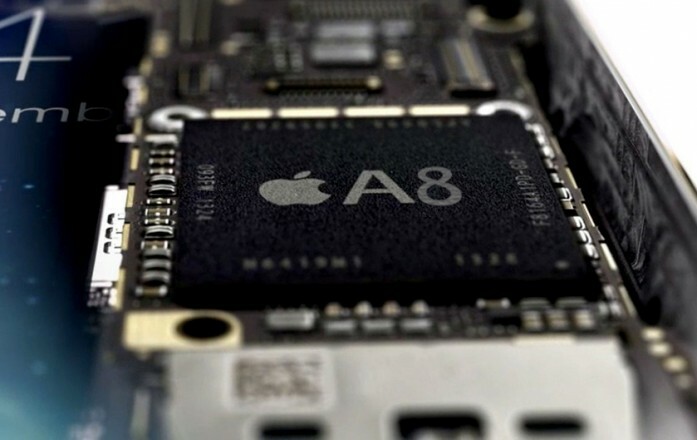 In terms of CPU power, expect Apple to utilize the new A8 processor in the iPhone 6. Apple’s previous A7 CPU was the first 64 bit CPU utilized by the company in a tablet or phone, so expect the A8 to be a 64 bit-based CPU as well, with an bumped up clock speed. It’s not entirely far-fetched to think about a Quad Core CPU either, considering the competition has been using these for a quite some time now. A Quad Core clocked at 1.5 Ghz or a Dual Core clocked at 1.8 Ghz are all reasonable bets. Also expect a better integration with the Apple M8 co-processor. . In terms of RAM capacity, it’s likely the iPhone 6 will come with 2 GB of Ram, despite the fact that previous iPhones and iPads have been shipped with only 1 GB of RAM. Internal storage will most likely be set at 32 GB or 64 GB, without the possibility of external expansion. In terms of the battery and battery-life, we’ll be seeing some definite upgrades, especially since Apple is going to increase the display size. 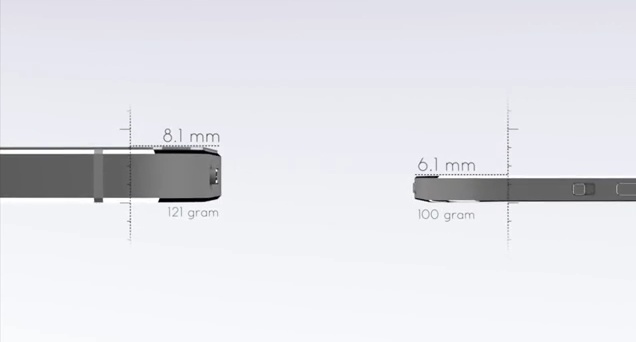 The increased general size of the iPhone 6 will allow the company to insert a larger, more powerful battery. As we know, Apple uses extremely small batteries compared to the competition, and while the company manages to squeeze out every ounce of potential, the phones generally suffer from short battery life. So expect a 2000 mAh battery in the iPhone 6, with Wireless Charging being a reasonable possibility. There is a possibility that Apple will in fact use it’s gyroscope technology for a Movement-based charging, however, this method would only charge the battery for 5-8%. Apple is also working on a technology that allows them to place Solar Cells into the display. What this basically means is that you’ll have the option to charge your phone through the display, by using not only natural light, but artificial light as well. There are several possible scenarios when it comes to the iPhone 6’s camera. It’s possible that Apple will keep the existing 8 MP sensor and simply upgrade the aperture from F 2.2 to F 1.8, which translates into a better performance in low-light conditions. The second option would be to upgrade the CMOS sensor completely, increasing it from 8 MP to 10 or 12 megapixels. If this is the case we expect the sensor to be developed by Sony, because Sony makes some of the best sensors on the planet, at least when it comes to mobile sensors. So we can expect for a F 1.8 aperture, True Tone Flash and Optical Image Stabilization. In terms of video recording, Apple might actually introduce 4K video recording into the iPhone 6, something that the Samsung Galaxy Note 3 or Sony Xperia Z2 are already providing. Apple will almost surely increase resolution for Slow Motion Video recording on the iPhone 6, from 720p to 1080p. The iPhone 6 is going to come preinstalled with Apple’s new operating system, the iOS 8. iOS 8 is going to be introduced in June 2014 at WWDC. iOS 8 is going to focus mainly on health and fitness and is also going to feature Apple’s new health & fitness app, which is going to be called Health-Book. In terms of features, expect Apple to integrate the iPhone 6 with the iWatch through the new Health-Book app. 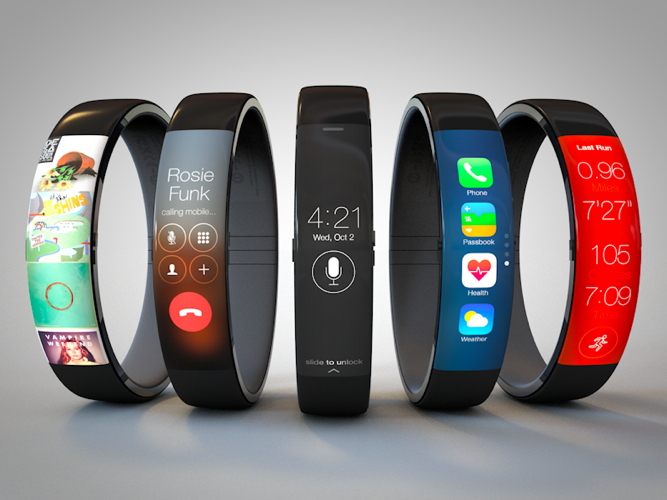 The iWatch is expected to be released sometime during Q2-Q3 2014 (which means summer-fall). The new iPhone 6 will most likely be placed at around the same mark as the iPhone 5S. The phone will most likely come out in September, despite previous iPhone launches taking place in June. At this point, Apple just doesn’t seem ready to be pushing out the new phone onto the market, a market that, come April, will be seriously assaulted by the upcoming Samsung Galaxy S5 and HTC One M8. The entry-level iPhone 6 models will probably be priced at around the $650-700 mark carrier-free, with the premium models (with increased storage) costing upwards of $800.